Here's everything coming up in Annapolis this December! If you haven't spent your Maryland holidays in Annapolis before, change your plans and start doing it! There's good food, good beer, and great shopping all in the perfectly decorated historic city by the bay. And now that Thanksgiving is over, we can start talking about all the Christmasy things that are coming up in December! While not exclusively for Christmas (chocolate is ALWAYS in season), the Chocolate Binge Festival is on December 2 from 12 p.m. to 5 p.m. Admission is a suggested $5 donation (it's the holidays, have a heart!) to enjoy over two dozen vendors of all things chocolate. The festival will feature live music, a gingerbread house moon bounce, and hot chocolate. 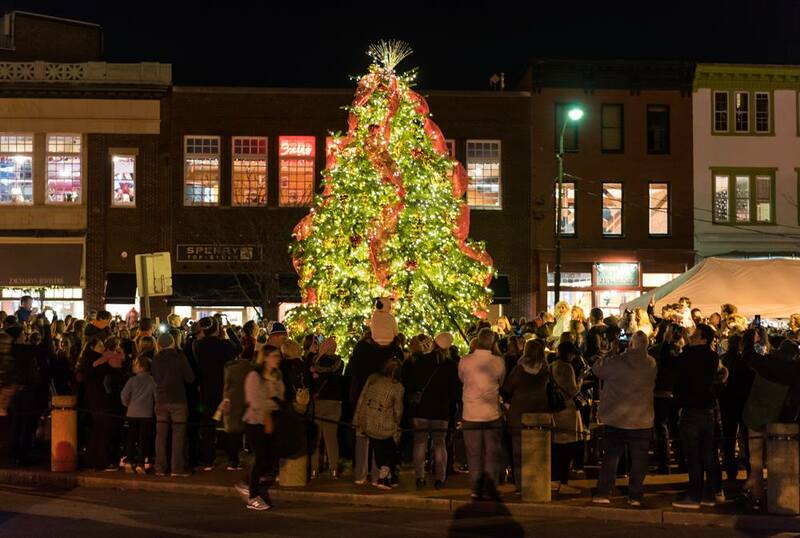 The official lighting of the West Street holiday canopy will also take place. Chesapeake Brewing Company will also be celebrating the release of two new local beers: Beeramizu Porter and Not Your Grandma's Oatmeal Stout. Get all your Christmas shopping done downtown on each Thursday in December, leading up to Christmas. Select stores will keep late hours and feature can't-miss-deals for Midnight Madness. It's not a downtown event without live music, so come with your listening ears! The holiday lights will be on and wreaths will be up, which means holiday spirits will be high! On Saturday, December 15, the William Paca house will deck the halls and invite you in to tour the decorated grounds. You can also stop and make colonial Christmas decorations while enjoying light refreshments. Admission is $10 for adults and $5 for children over the age of 3. This isn't a Christmas event, but it is in December. Hop on the Catherine Marie for dancing, drinks, and refreshments all while cruising around the bay. Then catch the fireworks at midnight from one of the two open-air decks. This could be ultra-romantic or fun with friends! Better find a babysitter though: this event is for people 21 and older. How are you going to spend your December? Tell us in the comments below! Here's something else going on, too -- the Annapolis Holiday Boat Parade!